I do book tours, book blitz, cover reveals, author interviews, guest posts, reviews. I blog for book tour companies and authors. The new twist that Dianna has put on the werewolf mating ritual is awesome! It is very unique and intriguing. Dianna knows how to tell a story that will keep you on the edge of your seat, hanging on waiting to see what is going to happen next. Eye Of The Storm Series will pull you into its world and make you feel like you are a part of Lydia's world. 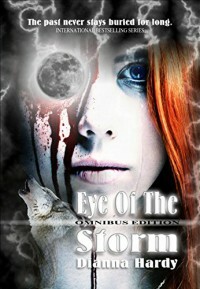 Eye Of The Storm Series has been unlike any books I have ever read. This has been the most amazing series of its kind ever. Dianna Hardy is an amazing author and is fantastic in writing in any genre. If you have not read any of her books then you need to give her a shot. Trust me you will not regret it. I would love to see all of her books on the big screen. All her life Meriden Cummings has wanted to sail the high seas and live the life of adventure and be free like father and great-grandfather before her. Well at least this is a dream of hers that she hopes to put in motion one day but in the mean time she will have to settle for a life working with her mother as a Carpenter in their shop on their little island. After their island is attacked by pirates, Meriden and her mother have to fight off some pirates that come into their home. Meriden and her mother don't come out of the fight unscathed no they have a few injuries but they are very strong and able fighters that give the pirates a run for their money. Meriden and her mother put a spin on the pirates that they never saw coming. After the fight was over Meriden found a map of Death Island an island that holes a lot of clues to her family history. The map draws Meriden in and takes a hold on her that she can't shake. So what does she do? The only thing she can do and that is to make her dream come true. But she needs a few things first like money to back her expedition and a ship of course. Meriden finds her ship with the help of her mother who contacts an old friend who is the captain of the Orion who has agreed to take Meriden on her adventure to Death Island but he informs her that he only has a skeleton crew and is in need of more men. Well Meriden is happy to oblige him in that department. She recruits her best friend since childhood Matthew Kettlesworths as the cook and another friend George Hobson as the ships doctor and last but not least her old friend Rupert Railing has agreed to back this little adventure and one perfect ginger haired rather handsome stranger Gregory "Greg" Wilson. Once I picked up Death Island I couldn't put it down except to sleep literally. I grabbed my electric throw blanket curled up in my chair close by the heater on those cold days when the temp was in the twenty's and just kept flipping those pages. It drew me in right from the beginning and hasn't let go yet. Death Island has been an incredible epic journey through the awesome imagination of the author. Reading Death Island is really like seeing the world through the eyes of the author. I would get so lost in reading Death Island that I could just see the characters sitting around the fire on a log with a blanket wrapped around them to help keep the chill away thinking about their day and what they saw in the dead forest. I could just see the looks of horror on each and every one of their faces as they listened to the sounds that the night made. Jumping and twitching with each and every cling, clang, whistle of a bird call or the snap of a twig how their eyes were so wide the whites showing with their eyes rolling around from one side to the other looking into the forest trying to find or hoping not to find the source of the sounds. No one wanting to talk about what they saw or about the nightmares they all was facing. I could see them sitting amongst the fog and it being so dark that they couldn't see much farther than the light of the fire. I would so very much like to see Death Island on the big screen with Johnny Depp as the captain once again. I also think that Death Island would make a great tv show with it being set on the island itself with all the characters facing their nightmares. I would highly recommend Death Island to anyone who likes the idea of sailing on the high seas and just loves a novel that will take them on the most incredible journey of a lifetime with pirates searching for lost treasure and then throw in a couple of gods and myths and maybe even take a walk through the land of the dead. After being exiled from her home after the death of her father half-fae Ember takes a job on an airship a rigger. She has to inspect the sails to make sure they have no tears and fix them. One night after returning to the ship she over hears someone talking about taken the cargo. Over hearing this conversation puts in danger and someone tries to kill her. Their ship is over taken by pirates and just as Ember and her new friends are about to board their ship it is blown to pieces leaving them in the hands of the pirates. When the pirate ship runs into trouble they have to crash land in a field. Ember and Reilley escape with the help from their friend Charlie. Ember met Reilley before she started her new job on the airship. She found Reilley in an alley being beaten by a couple of dudes. Ember beat them and saved Reilley’s life afterwards he followed her everywhere she went. She was even rude to him telling him to go away and leave her alone but he wouldn’t listen. He followed her to the airship and landed a job as a cook on the ship. Ember and Reilley went from town to town looking for ways to make money and meeting new people along the way that was always very happy to help them. Ember always protecting Reilley and Reilley protecting Ember. I really enjoyed this little story. It was a nice turnaround from the man being the strongest and protecting and saving the woman. 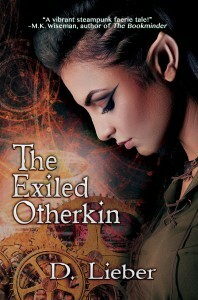 I would recommend The Exiled Otherkin to anyone who love a good fantasy or who like to read about the fae. Come join Ember, Reilley and Charlie as we follow them through the human realm and then into the fae realm. People have lived in compounds underground for many, many, many years after the world was destroyed by nuclear explosions. Most of these people have never seen the sunshine, the moon or the grass. They have never been into the air. Living underground is a dank and dark place with nothing but stale air to breath and only artificial lights. Mia Bryn has lived underground all her life never having seen the sun or felt its warmth on her face or breathed the air from above. Well except for a little while when she was ten years old. When her mother and sister was killed and her father was attacked he took Mia and they left their compound for another which was never done but somehow he talked them into letting them in. Mia has no idea why they were attacked nor who killed her mother and sister. Her father would never talk to her about what happened. Mia didn’t like being underground and wanted to live in the air. Mia was a quiet shy person who kept to herself most of the time. As her friend Laurel always said Mia didn’t belong underground like they did but who did really. Mia wanted so bad to live in the air but they didn’t know if it was safe not only were they worried about breathing the air but what about the radiation? Was it safe? And what about the mutant creatures? So when Mia’s father received a letter from the Academy Mia talked him into accepting the invitation against his better judgement. Mia was so excited to be in the air seeing the sun, the forest and all the different colors. Mia’s happiness was squashed the minute they enter the City Site and their wagon was attacked and her father was injured. Mia had no choice but to leave him there and escape if she wanted to live. Mia’s journey was going to be a lot different than she anticipated when leaving the compound. She is roaming the forest trying to figure out why people are chasing her and how she was going to rescue her father. Mia is in luck when she meets a group of guard from the Academy who takes her under their wing and makes it their assignment to keep her safe and help her rescue her father. Mia is a very strong willed girl who at times surprises her rescuers. One of the guards Archer in particular takes a real close interest in Mia and she frustrates him to no end at times. Mia doesn’t think about the end results when someone she cares about is in trouble she just reacts which could cost her, her life as well as others. No when Mia gets mad or upset she will not go down without a fight. I love dystopian novels and Into the Air was an amazing story which makes you stop and think about what could help if war was to come in the form of a nuclear attack. I think anyone who loves dystopian novels will love Into the Air. I can’t wait to follow Mia on her next journey in the next book. Jenn and her classmates are on their way home when there is a tragedy aboard the private plane they are has to make an emergency landing in South Atlanta a part of the state that is not controlled by the government. Jenn and her classmates are whisked off the plane with their hands tied and a bag over their heads. They are taken to the underground tunnels of an old subway. Their captors want money and information from one of Jenn’s classmates. If they don’t get the info they require then it could cost the hostages their lives. The author has put a lot of info in such a little book. The world building is out of this world. The characters are strong and all very likeable even the bad guys so to speak. Rise of Order is not the first book by Julian North that I have read. I read the first book in the Age of Order Saga which is named for the saga Age of Order at the first of the year and I enjoyed it tremendously. The Age of Order Saga has taken the dystopian world to a whole new level. I can’t wait to read more of this world. I would like to recommend Rise of Order to anyone who loves a good dystopian novel. If you are looking for a quick read and like science fiction or dystopian novels then look no further Rise of Order maybe just what you are looking for. The war has begun. Rick, Maggie, Jesus, Andrea, King Ezekiel and Michonne have started the war by going to the Sanctuary where Negan and his crew live and attacking them and leading a heard of zombies to their front door so to speak. They are hoping that the zombies will trap them inside and they will run out of food and water then the war will be over before it actually starts. But of course they know that will not happen. Negan is way too smart for that one. After being attacked by Alexandria, the Hilltop and the Kingdom Negan and crew make their way to Alexandria and attack Rick and his people by blowing up their homes. Rick, Andrea, King Ezekiel, Michonne and everyone at Alexandria take off for the Hilltop to stay until they can rebuild Alexandria and the war is over. While they are at the Hilltop Negan brings his crew there to retaliate. Of course Rick knew that he would so they were expecting them and was prepared as much as they possible could be. As with any war there were a few casualties on both sides. Who will win the war? Carl decides that he wants to go live at the Hilltop to learn how to be a blacksmith. When he leaves Alexandria he is given a letter from a girl Anna whom Carl has had a crush on for a while. Anna tells Carl not read her letter until after he reaches the Hilltop. Upon arriving at the Hilltop guess who is waiting for Carl? Sophia that’s who and she just happens to like Carl too. A man that had been sent out on a scouting expedition returns without his buddies. He tells Maggie that he left his friend behind because he got scared when he saw this group of people who at first he took to be zombies until they tried to stab him. Maggie then sends out a group to find the man that he left out there alone with an injured leg and after being attacked by the Whisperers they brings back one of their people with them as a hostage to learn more of this group that call themselves the Whisperers. The hostage that they have brought back Carl takes a liking to her real quick like. Carl now has three girls chasing after him. The first one would be Sophia from the Hilltop, the second one would be Anna from Alexandra and the third would be Lydia from the Whisperers. 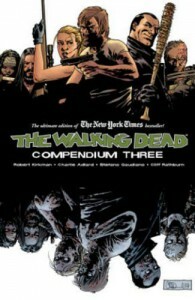 The Walking Dead is my all-time favorite tv show and book. I love me some zombies. I love the undead world and can’t get enough of it. I really, really loved reading about Rick, Carl, Andrea, Michonne, King Ezekiel, Maggie, Sophia and even Negan. Negan will keep you rolling on the ground laughing at all times. Ready for some zombie biting, stabbing, killing end of the world adventures? Ready for all out war? If you love zombies then I think you will fall in love with The Walking Dead. Come join in the war against humans who want to be in control and against zombies who want to take over the world. Come join Rick, Maggie, Carl, King Ezekiel and everyone else as they try to make the world a safe place to live. Things are finally looking up for Pandora. She can now live her life without having to look over her shoulder expecting someone to be there trying to kill her and no more being chased through the shadows. Pandora can now lead her life the way she sees fit with the boy she is in love with, Jax. The whole world is hers if she wants. Pandora has killed the monster that has been chasing her. When she tells the titans what she has done they are not as happy about it as she is as they do not believe that the monster is dead. Just as Pandora starts to think the world is safe once again; she starts to wonder if the titans may be correct in thinking the monster is still alive. The war she thought was over may just be beginning. If the monster is still alive and Pandora can’t find a way to stop him for good then it may just spell the end of the world. Can Pandora stop the monster? Is the monster even still alive? Can Pandora save the world? Can she stop the ending from coming? I fell in love with the Midnight Ice world from the first book Frost following Pandora, Jax and Sam through the shadows. This has been an amazing journey one in which I hate to see end. The Midnight Ice world is filled with twist after twist that keeps you glued to the pages wanting to find out what is going to happen next. I would like to suggest that you give the Midnight Ice world a try that is if you like visiting the paranormal world or just like a good fantasy to read every now and again. On the night of her high school graduation strange things start happening around Sierra Reeves like her diploma starts floating through the air and she can see the auras of the people around her. And after receiving her diploma her Gran whisk her away from graduation early and rushes home so they can pack and leave. She won’t tell Sierra what all the hurry is Gran says there is not time that she will tell her on the road. But of course Gran does not give her much information. But she does tell her that she has magical powers and that she is a part of the supernatural world that she has always believed to be a myth. Gran says they are going to Savannah, Georgia where they will be safe from the ones that are trying to either kill or kidnap Sierra. The people in Savannah will hide them and keep them safe. In Savannah Sierra meets the Andere marshal Gavin McLoughlin. Gavin helps her to accept the supernatural world and helps her learn how to use her new powers. It is a slow go for Sierra in learning how to use her powers. She is having a hard time in figuring out how to use them or make them work when she wants them too. Sierra is cautioned about running around on her own because someone is out to get her. They either want to kill her or kidnap her for her magical powers. Not only does she have to worry about someone wanting to kidnap her but there is a killer loose in Savannah. Someone is going around killing young women. But Sierra is an eighteen year old girl/woman who has just graduated high school and is ready to take on the world and doesn’t like being treated like a kid so therefore she doesn’t pay much attention to what her Gran or Gavin tells her to do and is always running off herself. I will give it to her most of the time she has consulted with Gran before going out but she usually ends up just a little farther off the trail than what she discussed with Gran. To Sierra she is a grown woman now and can take care of herself but on a couple of occasion she does find herself in peril. Sierra gets herself a job working in a bar after being highly advised against it she meets this young man, Maxim who asks her out. Maxim and Sierra hit it off pretty quickly. Sierra is not sure exactly want she wants as she also likes Gavin. But Gavin is sort of standoffish and seems to push her away but Maxim on the other hand doesn’t no; he takes her in his arms and wraps her up tight. Fluidus Rising takes off right from the beginning at a very fast pace and doesn’t let up until the very end. It will have you on the edge of your seat flying thorough it wanting to know what is around the next corner. I really loved this new take on the supernatural world that has been created in Fluidus Rising. I can’t wait to learn more about the supernatural world and about Sierra’s new world in the next book. Come join Sierra as she takes us on this epic journey with her while she learns about her new world and her magical powers and all the magical powers that is around her. I would recommend Fluidus Rising to anyone who loves to get lost in a magical world. Malin and her mom Marlow are Valkyries. Their job is to kill immortals that have been chosen to die. Valkyries don’t give any thought to the fact of if they are doing what is right taking another life. They are just full filling orders given to them by the gods from generation to generation. Malin was raised by a mother that was very cold and always told her that Valkyries couldn’t love and never showed Malin any love or warmth growing up. Marlow was also Malin’s mentor training her to be a Valkyrie. Malin learns that her mother allowed one of her marks to live which put the world in chaos and started it on a downhill collision. In order to try and save the world from being destroyed Malin with the help of a few friends has set a course to finding the person that her mother failed to kill and end his life sending to him to the underworld where he belongs. Malin’s little group of friends consist of her best friend Oona whom she has been friends with since grade school who probably knows her better than anyone. Oona is a Sorceress. Oona is better at casting spells than Malin. Malin sweet talks Oona into doing her spell work for her. Then we have the mortal Asher who is also the son of a Valkyrie who like Malin is out for revenge against this immortal so therefore he wants to be in on the hunt for this guy. Malin and Asher strike up a relationship of sorts. Malin really cares for Asher but has a hard time with her feelings because her mother told her that she wasn’t capable of loving. Next on the list is Quinn also a Valkyrie and Malin’s ex-girlfriend. Malin cares for Quinn but different than she cares for Asher. Asher wants to pull her into his arms and keep her safe. But Quinn wants to throw her against the wall and have her way with her. Malin needs or wants both things but can she have both Quinn and Asher? 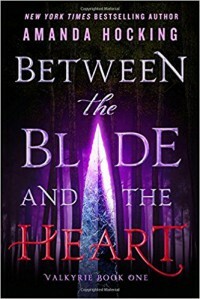 Between the Blade and the Heart is filled with lots and lots for action and myths, monsters and very powerful gods. Amanda Hocking is a brilliant author who knows how to spin a story that will keep you turning the pages. Come join Malin, Oona, Asher and Quinn on their journey to save the world from the monsters. Syl Skye sneaks out with her best friend Fiann and their squad to go see her favorite goth-rock star Euphoria perform. Syl has a crush on Euphoria and will risk her mother’s wrath to see her play. After the show is over they catch the train back to their hometown. Syl wakes to people screaming and yelling and the screech of the train as it is turning over and over and falling down, down, down. After the train finally stops Syl realizes that Euphoria is responsible for wrecking the train by using magic. What Syl doesn’t know is that Euphoria didn’t have a choice she was forced to do what she did. Euphoria is hunting the sleeper-princess and she keeps asking Syl if she is the sleeper-princess but Syl has no clue what she is talking about. Euphoria was sent to kill all the sleeper-princess. Derailed is filled with so much action that it will grab a hold of you right from the start and you will be lost in its depths from beginning to end. I have fallen in love with the world of the Moribund, the Circuit Fae and the Sleeper-Princess and can’t wait to devour more from this world. I am so glad that I got this opportunity to read about how Syl and Euphoria met and how the sleeper-princess awoken. Come join Syl and Euphoria on their epic journey through the world of the Moribund and Circuit Fae and watch them as they light up the world together. Lizzie is a professional Fire Impeder – a Fire Arete who can stop sparks from starting. Lizzie does not start fires she stops them from starting or puts them out. She can stop a gun from firing or she can stop a bomb from going off by stopping the spark from becoming a flame. By day Lizzie helps out fire department by helping to put out fires and she helps out the police department by stopping a criminal’s gun from firing or stops a bomb from exploding. By night she hunts fire vampires and they are not your sparkling vampires neither are they hot in the looks department that is and she also tracks down hounds. Nope vampires are not myth like Lizzie thought no they are very much real and like the hounds are hunting Lizzie and want to destroy her. In order to stop these hounds Lizzie needs the help from a shade amulet which she does not have. To stop the hounds and safe Earth Lizzie must find where this amulet’s and go get it without it she is doomed and so is Earth. The Shade Amulet is the first book that I have read by Andrea Pearson. I have read in other reviews that Lizzie is a character from the Mosaic Chronicles which I have not read. In saying this I don’t feel as if I was missing out on anything or that there were any holes in Lizzie’s story. I really enjoyed reading about Lizzie and her ability to stop a spark from igniting. Oh and the fire vampires and the hound were awesome too. The Shade Amulet was a nice clean read that I believe is suitable for all ages. I can’t wait to read more about Lizzie, Abel, Cole, Nicole, the fire vampires and the hounds. 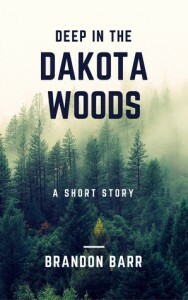 A great little story about people who live deep in the backwoods take care of thier own. They don't need the police coming in and nosing in their business. If an outsider comes in and messes with one of their own then they take real good care of them. I would have to say I really enjoyed this little story. I was so engrossed in the story that I was at the end before I knew it. It kept me glued to my seat waiting to find out what was going to happen next. The eighth son of King Erikal and Queen Jessamal of Riata, Zorander Graeme wants to be king so bad that he uses magic by wishing that his brothers were all dead so he could be the First Son and then he could one day be the king. Zorander had been bullied by his brothers all his life because he was the youngest so therefore that made him the weakest. Zorander wanted people to look up to him and respect him. He thought the only way to do this was to be the First Son and then the King. But what Zorander never really understood was that there would be consequences to using dark magic and he would have a debt to pay. I am glad that I finally got around to reading Rise of Restless and Ruined as I have loved reading both books in SoulShifer Series, Shadow of Shift Soul and Twist of Truth and Tomorrow. I wanted to know more about the King and Queen of Riata and how they became the king and queen and what made them the way they were. The SoulShifter Series has been an epic journey one in which I truly hope to take again one day in the near future maybe, hopefully. I would recommend Rise of Restless and Ruined to anyone who loves reading about magic and suspense. I don't usually comment on the cover of a book but I can't pass up this opportunity to comment on this one. 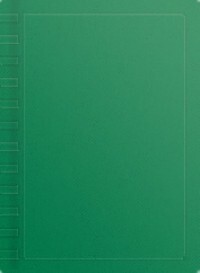 I love this cover as it has all my favorite colors in it. It is just beautiful. A Neophilim and an Angel are assigned to take care of a little girl from the day she is born. Day after day they go out sit outside of her house watching over her and keeping her safe. Ninjas & Nephilims was a great introduction to the Enlighten series. I can’t wait to read more of this authors work and find out more about the characters in this series. A young man, Jonah suffers from a curse, an illness and the medicine that he takes for it is killing him. In order to get the magic that he needs to stop the curse he has to leave the ones he loves cares about the most in this world and go fight with their enemy. I really enjoyed reading Jonah’s Curse and hope that in the near future I can find out more about Jonah and The Midnight Society. The Prince of Hawks wants to soar through the air like a hawk with his own body and not through the mind and eyes of the hawk. One day his home is attacked and his parents are taken from him. After his parents died he took the crown from his dead father’s head and placed it on his own. He will now lead his men into battle. This is not the first book by Sarah K. L. Wilson that I have read and I certainly hope that it is not the last. I have enjoyed reading this little introduction into the world of the Unweaving Chronicles. Resh the second son of a king sets out to find a talisman, a dagger and runs into a woman called Shanta who claims she can find the dagger for him. But first she wants Resh to help her find her friend. Shanta contacts a witch in town who tells her where to find this dagger. So Resh and Shanta take off on their journey to find Shanta’s friend and the dagger. Wrath of Witches is not the first book by Hilary Thompson that I have read nor is this the first book in Shift of Shadow and Soul world that I have read. The Shift of Shadow and Soul is an amazing read. I can’t wait to read more in the Shift of Shadow and Soul world and more byf this author. Sixteen year old Amel has taken her first flight and survived. Trouble is brewing on the home front. Leng has returned to the school injured with a very important message that he thrust into Amel’s hands right before passing out. A message that she cannot read only a Dominion Evoy or a Purple Dragon can read it. Amel must keep the message safe until she can safely deliver the message to the right person. Amel and the other students are told by their teachers that they are to pack up and move out but are not giving all the details. With Leng not being able to ride his own dragon Ahlskibi with his injury he will be riding with Amel on Raolcan that is if he will allow it. Dragons are very particular as to who they allow to ride them. Most of the time it is only their bonded dragons don’t trust humans no more than humans trust them. I have fallen in love with dragons especially Raolcan. I so love this world that the author has created in Dragon School. I have loved seeing the world through Amel’s eyes while soaring through the skies on the back of a dragon. Dragon School: Initiate has been an epic journey one in which I can’t wait to continue hopefully in the near future.